Delphine MEILLET and her firm can represent you at any stage of a procedure to assert your rights and claim compensation for damages caused. 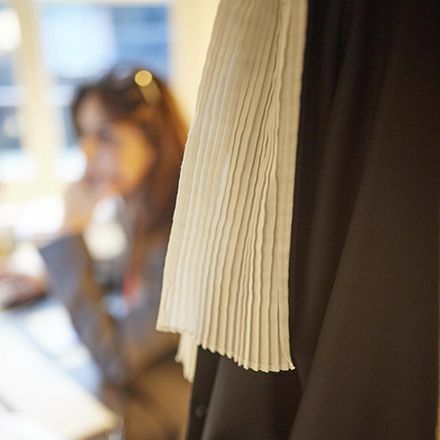 With an extensive experience gained in prestigious law firms, Delphine MEILLET has the necessary skills to build an optimal defense for you, no matter the violation you are the victim of. Article 9 of the Civil code establishes that everyone is entitled to the respect of their privacy. It is an essential notion in anyone’s everyday life, which is why any violation of this principle is severely punished by the Criminal code. Article 226-1 of the Criminal code specifies that intentionally invading someone’s privacy by any means whatsoever is subject to criminal penalties up to one year in prison and a €45.000 fine. Delphine MEILLET’s office can defend you regarding the various violations of privacy provided by law. The fact of capturing, recording, or transmitting someone talking privately without their consent is an invasion of privacy. For example, judges found an employer guilty of invasion of privacy for hiding a tape recorder in the dropped ceiling of an employee’s office. Invasion of privacy can also be characterized by recording or transmitting the image of someone in a private space without his or her consent. These cases are very mostly through publications. These are regular convictions for invading the privacy of the celebrities whose pictures are published. The same principle applies in public spaces if the victim clearly expressed his or her will not to be photographed. However, when in the grey area between public and private life, judges weigh the invasion of privacy with another major notion: the public’s right to information. Therefore public figures, may they come from politics or entertainment, cannot oppose the publication of certain pictures taken (in their professional life). A picture taken in private can be admissible, if it complies with the right of information of the public and if the picture has a direct link with the information displayed.